Darryl Ford-Williams is the Vice President of Production for WQED Multimedia in Pittsburgh. Prior to her arrival at WQED in December of 2004, she was the sole proprietor of the 15-year-old Ford-Williams Agency. Based in Pittsburgh, it was one of the first companies in the nation to focus on minority recruiting for major market television stations. She was also a sought-after speaker on issues related to minorities in the broadcast industry. 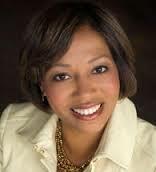 In her current role at WQED, Ms. Ford-Williams oversees the creation, development, production and delivery of all new and existing local, national, international and syndicated programming for WQED Multimedia. Throughout her career, Ms. Ford-Williams developed, wrote, produced and directed media campaigns and visual communications for business, political, educational and philanthropic entities. Her extensive background as a television news producer and news manager served her clients well. The following are just a few examples of that work: managing site producer for CBS News in its coverage of September 11—focusing on the Pennsylvania crash site of United Flight 93; coordinating producer for ABC-TV’s Good Morning America; serving as executive producer at WJLA-TV in Washington, DC; and news production at KDKA-TV in Pittsburgh. When it comes to community involvement, Ms. Ford Williams takes an active role. She has served on such boards and committees as the Mayor’s Commission on Families; Point Park University; Urban Youth Action; the Pittsburgh Film Office; Pittsburgh Ballet Theater; Shady Side Academy; Program to Aid Citizen Enterprise; and the African American Chamber of Commerce of Western Pennsylvania. She is a graduate of Boston College with a BA/BS in Speech Arts.